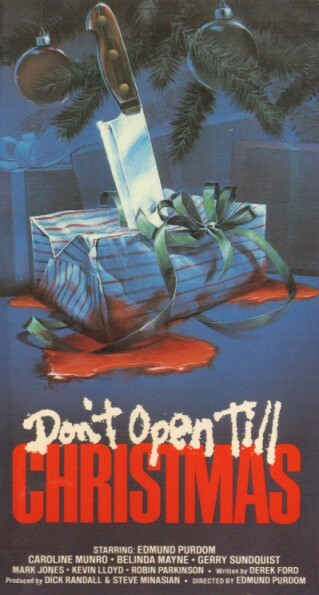 Don’t Open Till Christmas (1984). This is one of my favorite Christmas movies. It’s about someone killing people dressed as Santa, and it’s super sleazy and great. Here’s a clip. You Better Give Up, You Better Not Try, It Won’t Be Abrupt, When You Watch Santa Die.